This mole sauce is of the Oaxacan variety, which means it originates from Oaxaca, Mexico, also known as the "Land of Seven Moles" of seven different colors. 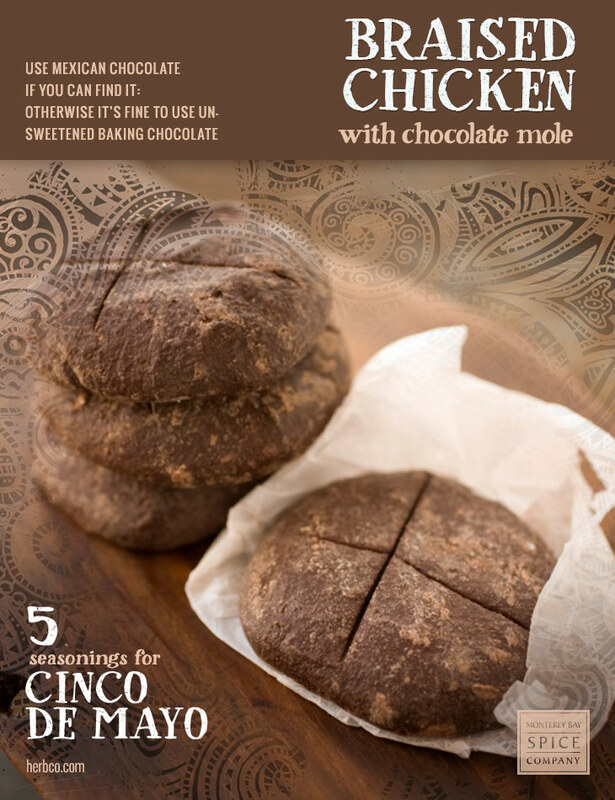 Use Mexican chocolate if you can find it; otherwise it's fine to use unsweetened baking chocolate. Transfer the chicken into Dutch oven and pour the mole over each piece. Cover and simmer for about 45 minutes, or until chicken is cooked through. Serve over Spanish rice and garnish with sour cream and fresh cilantro, if desired.